August 29, 2012 By Tina M 50 Comments This post may contain affiliate links. Read my disclosure policy here. I’m not much of a sewer, so when I first heard of Quiet Books I looked for a no-sew printable quiet book. Sadly I did not find one, and decided to make my own! Remember this Quiet Book post? After I designed a Bible version and a Farm Life version, I then got excited and created a couple more! 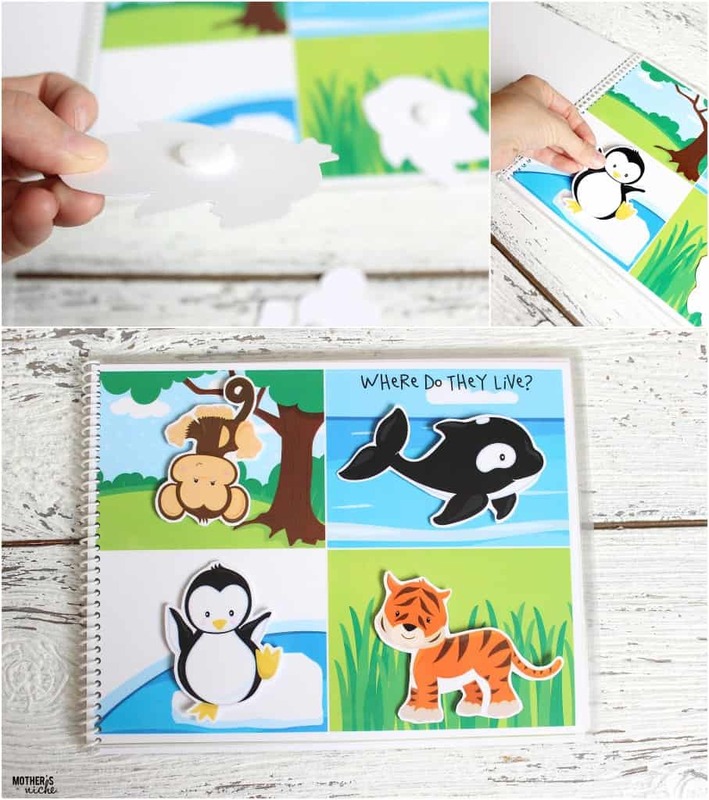 First print your printable quiet book pages. Laminating can be expensive, so if you don’t already have a laminator and you know you will be doing future projects like this, I recommend getting your own pouch laminator. I used to recommend the Apache for a cheap laminator, but it does not laminate the thicker pouches very well I have fount out. Just get the Scotch and you will be set. Also, I recommend 5 or 7 MIL thickness on the pouches so that your Quiet Book is more durable. I have always just bought the Lamination Depot brand, so I don’t have recommendations on any other brands than that. If you know you will be laminating other projects, they sale fun variety packs with different sized pouches that you can experiment with. After laminating my quiet books, I bound them with coil binding for about $2 or less. For attaching the pieces to the pages, I used velcro dots. http://pinterest.com/pin/215469163392997013/repin/…I would love the Farm Life Quiet Book for my daughter. So cute! Hi! This is phenomenal! I just bought all three of these printables. But how did you bind the pages and make the holes for the binding once your laminated your sheets? I’m at a loss. Thanks for your time! They are awesome!!!! 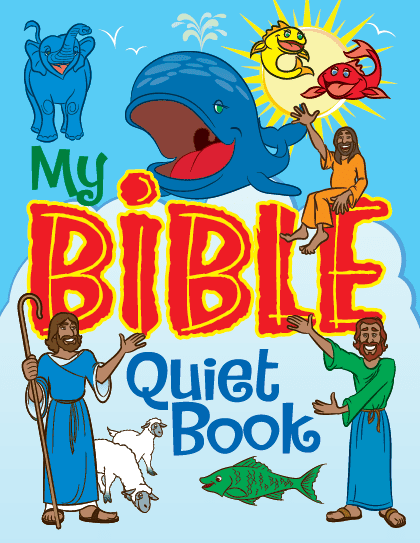 I would love to have the bible quiet book. In case i dont win, what is your etsy account, in case i would like to buy it…. I would love the farm book…so perfect for quiet time! I would love the farm book for my little ones. And I’m excited to read your blog more often. My boys would go crazy over the farm life book! Nice work! So cute! I’d love either one. They’re both adorable. And I don’t have pinterest, but I posted it on fb (and tagged you in it, so I’m sure you noticed). Hey Breanne. Will you send me your email so I can send it to you? http://pinterest.com/pin/165718461259528407/ They’re both adorable, but I would choose the Bible one. Thank you. http://pinterest.com/pin/52424783133381523/ I love the Bible one! So great! http://pinterest.com/pin/164803667585092925/ I’d love the bible one! Oh have I mentioned that I think you are amazing. You blow my mind with your creativity and resourcefulness! I NEED both of these books. Especially the Bible one. Our church life is a nightmare. Sorry I am lame and don’t have Pinterest. I know I fail. I will post you to my Facebook again. Always. A now sew quiet book? You’re awesome! Would you be able to still give a discount code. I am a nursery leader and I would love to make one of each for my wards nursery. Either way thank you for sharing your craftiness. These are so cute! Yes Elizabeth! Use code HOLIDAY3FOR1 to get all 3 of them for the price of one! Did you turn the cutouts on the quiet books into stickers? Just wondering how you get them to stay on the page. Thanks! Just found the farm book on pinterest and love it! My son and nephew would sure love it for quiet time! Great Job! Love this idea! I’m very interested in a coupon code! How do I get the download pleas. This looks amazing. HI. I am interested in the Bible book. The link is inactive. Is there another way to access this amazing resource? Can you please give the instructions for the Food Quiet book? Also, what are the numbers for on the Zoo book? Hi, could you contact me as I wish to buy.